Data is revolutionising our world and every business within it. In today's data-filled world every business is now a data business and requires a robust strategy to leverage data in order to drive success. This ebook contains 7 big data use cases and will give the reader a good insight into the ways big data is used in practice. Companies featured range from industry giants like Google, Amazon, Facebook, GE, and Microsoft, to smaller businesses which have put big data at the centre of their business model, like Kaggle and Cornerstone. This eBook looks at the practical impact Big Data is having on business and organisations in multiple sectors including healthcare, retail, finanical services, energy and businesses built on data. 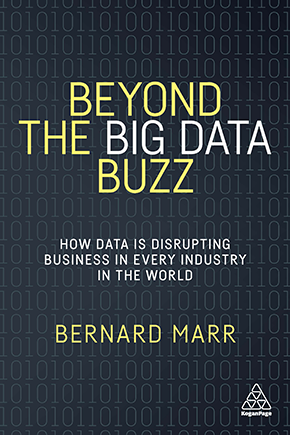 This eBook is a must read for anyone who would like a complete overview of what big data really means, industry by industry. This book is about how big data is used in the real world. It features real-life case studies across most sectors from technology, media and retail, to sport teams, government agencies and financial institutions. Convert the promise of big data into real world results. This book is about using big data in small businesses or smaller settings like departments or projects. It is extremely practical and will provide anyone with a sound understanding of how big data is applicable to smaller businesses as well as how to get started with big data. Today's most successful organisations are 'Intelligent Companies' that use the best available data to inform their decision making. Intelligent companies bring together tools such as Enterprise Performance Management, Business Intelligence, Analytics, Key Performance Indicators, Balanced Scorecards, Management Reporting and Strategic Decision Making to generate real competitive advantages. This book will equip you with a set of powerful skills for improving performance.